Michal Polóni started with football in his native Senica, playing for team AC Senica. After moving to Bratislava he went to hockey. He played for Slavia Bratislava, Ski Club and I ČsŠK Bratislava (today Slovan). He was a player, a referee (both at the World Cup and at the ZOH), the official, the deserving coach. It is known as the pioneer of Canadian hockey in Slovakia. He raised such players as Dzurilla, Golonka, brothers Gregorovsky, Chapla, Tajnnár, Kužela, Ujváry, Šťastní brothers and others. He received many titles with pupils and pupils of Slovan Bratislava. In the years 1940 - 1943 he was the coach of the ice hockey team of Slovakia. But he was a versatile sportsman. He won the silver medal at the skating championship in Slovakia in a sports pairs competition, he was in the first tenth of the Slovak rankings, he was a climber and a motorcyclist (on the traditional 500 km of Slovak he became the winner of the amateur competition). For ten years, the head of the elementary school in Bratislava. November 30, 2002 was among the first to be celebrated in Hall of fame of Slovak Hockey. The first Senior, who was dressed in the first-polo jersey, was Jozef Hrebíček, who played for Spartak Trnava in the 1957/1958 season. 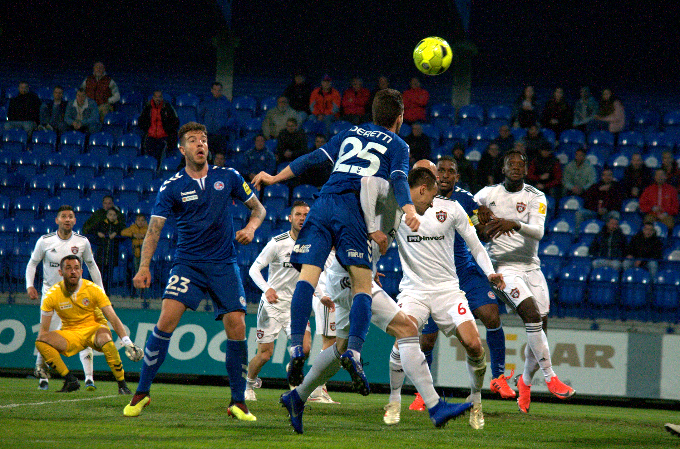 From Trnava he made his trip for two years to the second half of Považská Bystrica, otherwise his entire career was dedicated to his native Senica. He did not even miss the selection team XI. district of Senica, which played against the CSSR national team on the occasion of the ceremonial opening of the new football stadium in Senica. He was active in Senica until his 36 years. Then he moved to the trainer's career. Bradlan Brezova under Bradlo brought Bradlan twice as a playable coach. Upon returning to Senica, he was training pupils, puppy and B - team. Probably the biggest figure of the football Senica was Ján Baďura, or Strýc Ján, as everyone in Senica called him. In the days of his youth, there was no other sport he could devote himself to. He always enjoyed the goal of preventing him from giving them, so his fate was among the jokes. In the street legend he was found by the patron of the Senica football Štefan Štrba at the time and he was thrilled by the Rudolf Pšurny coach of the youngster, who even fought the master of Slovakia at the time. It was a difficult war period, and so, because of the approaching front, the match was not played by the Slovakian champion in Prešov. This was also the reason for the breakdown of football in Senica, as the Russians made a parking space for their mobile tanks. From Senice later Baďura left for Spartak Myjava, returned to Senice after the end of the military service and fought the whole football life there. He spent 35 years with active activity. His post-work activity is even richer. He first began as a football referee. It was only coincidence that he was trained. Senica and Gbely were playing at the new stadium, and then Kováčik did not know how to deal with the team and simply resigned for half-time. The boys, with whom Baudura had been playing before, called him to bring the match as a trainer to the end. As the Bauduros won and a team waited for a week in the Great Leavers, Miloslav Chomo was asked to go with the team. They also won there and apparently helped to become a Senica coach. With the exception of two years in VTJ Senica, Baďura spent all training sessions in Senica, Slovakia. Although the name of Ján Baďura in Senica is linked with youth categories, he also worked in the past in the Senice rudder. In the 1965/66 season, they moved to the championships first and in the 1973/74 season to the division. He talked about youth work in one interview with Ján Baďura himself. "I enjoyed this work very much, especially because it is mainly for the youth to see work as a coach. In adults, the teams are usually stable with minimal changes, but they change in the youth every year and the team needs to build their own image. Here's work to see you. My hobby was to watch young players around the surrounding villages and the best ones to bring to Senica. From around the area, I picked up several of us, who we put on a puppy. He played in the first league and did not subordinate the role. We played balanced games with clubs such as Slovan, Inter, Nitra or Trnava. " He started playing football in his native Dojč where he played until the boys. During his studies in Trnava, he played for Spartaka as a teenager until he joined the Basic Military Service. During this time he played for RH Ostrava and RH Brno. After leaving, he returned to Doja where he played for half a year. In 1957 he moved to Senica, which became his club for the remainder of his active career. 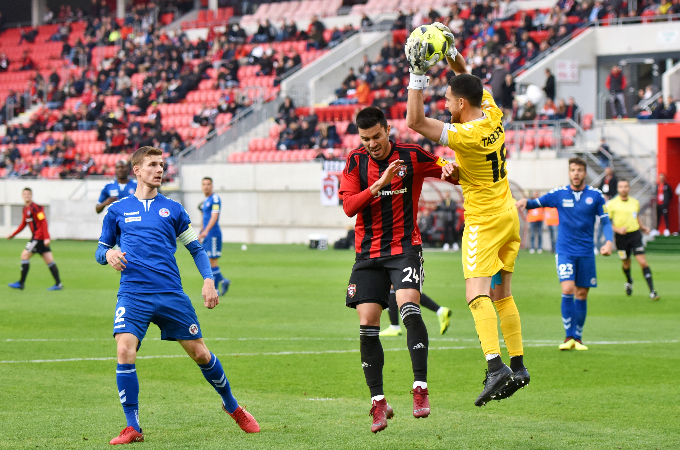 The appealing offer from Spartak Trnava had to be rejected for the persistent menisk problems, as the operations were not too "worn at the time". He likes to mention the 1968 Czechoslovak representation, which was a big holiday not only for the spectators but also for the players themselves. With active football he finished in 1968 as a 34 - year - old, but for the last two seasons he played as a training coach as he wanted to stay with the football. The most important part of his coaching career, of course, was spent in Senica, where from the first 15 years in the 1st SNFL he trained eleven. Outside of Senica he trained VSŽ Košice, Duslo Šaľa, Hodonín, Ratíškovice and Hruška. He returned to Senica in 2002, but he was already young, with a smaller episode in Častkov, which became B - the Senice team. He was awarded the silver medal by the Slovak Football Association for credit for the development of football. He started football in Záhorská Ves, where he was playing A-team in his youth. For his extraordinary speed, he had "swallowed" the nickname of Záhorský expres, which concisely captured his movement talent. As a 19 - year - old he enlisted in nearby town Malacky, where he played for the Red Star during the ZVS, but also for the next two years. Then there was a transfer to Senica, where he immediately became the team's best shot. He was particularly well prepared for the 1967/68 season, in which he scored 12 goals and Senica did not have any easy opponents, playing with the league players from Prešov and Žilina. Rudolf Višváder shooting productivity gave hope for a Senica team, but also attracted the attention of stronger clubs from higher competitions. When Senice in the well-started season eventually did not work, R. Višváder went to Topoľčian, where he worked for almost nine years, "thanks to" injury and meniscal surgery, otherwise he would dock in the Zbrojovka Brno, which had an eminent interest in his services. The trainer's career began in Továrnikoch, where he worked as a trainer until 1981, when he returned to his Záhorská Ves, where he played as a coaching trainer until 1987 and as a 44-year-old he also played with his son Rudolf Jr.
One of the greatest talents - puppies, such football in Senica has, is Jozef Sloboda. He started playing in the cooperative of the pupils as eleven years old and for 24 years he was faithful to the senile jersey he played before the eyes of the entire football Slovakia during a direct TV broadcast of the 22nd round of SNFL SH Senica - VSS Košice in 1983. He went on for the season to help the Malaciek team and for a while he also played for Laksharsko Nova Ves. In the competitions run by the SFZ he played for Senec for six and a half seasons 176 games and scored 19 goals. In fact, those matches and goals are much more, much of them played in regional championships and in the youth categories there was a lot more. One of the greatest talents ever came out of a Senica hat. Even as coaching coach Jozef Prochaska brought from nearby Cerova to Senice, where Rudolf Pavlík in SH Senica has fully developed his talent. He regularly played in the youth selection and later one match was played for A - Czechoslovak team. It was in a preparatory meeting in Norway, in which Czechoslovakia won 3: 2. 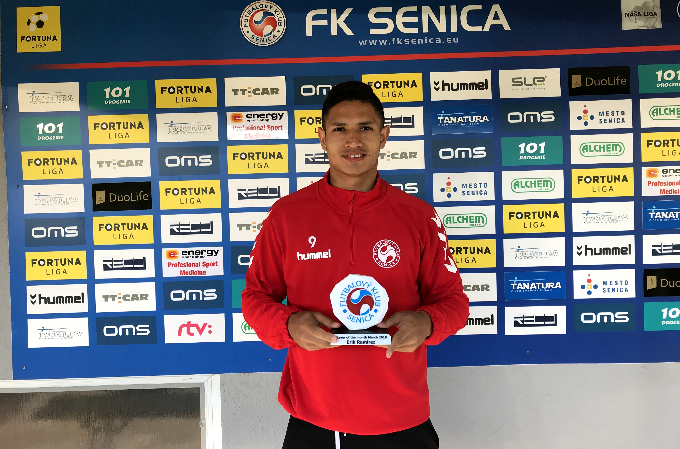 As a 17 - year old he debuted for A - Senice in the 1st SNFL against Trebišov and soon after four minutes he scored among the scorers. Already at the age of young age, almost all the biggest clubs in Slovakia started to notice, but "Zbrojovka Brno" beat him, where he was 19 years old after the 1981/82 season. Military service was completed in the most famous military team of Czechoslovak history, Dukla Praha. After finishing, he returned to Brno, but in 1986 he moved to DAC Dunajska Streda, which became his clubs for another six years, during which he missed only five league games. He then went to Prague, where he dressed Bohemians and Viktorija Zizkov, and played abroad for Vienna, where he returned to Dun for a year. On Wednesdays and through smaller clubs in Austria, he drew close to his career, ending in Shamorin's jersey, which also became his permanent residence. No footballer has played more meetings than himself in a senile jersey in competitions run by the Slovak Football Association. All his football life was celebrated by Senica. Together with his brother Vladimir, they passed through all age categories, from the smallest pupils to the A - team. In it, Miki, as everyone called him, played 297 games in 12 seasons, giving them 19 goals. Most often he played on the right defender's post, but for a few seasons, coach Hutta tried also on the attack. The offers also ran from the highest competition, the most interesting of his services was Inter Bratislava and offers also from the river Morava. At the end of the season, Iskre Holíč rebounded. The Slovakian saying that "the apple does not fall far from the tree," was confirmed in his case. The senic jersey was also dressed by his son Rastislav and Martin Adamec, whose two sons (Miki's grandchildren) Martin and Marcus are great hopes of senic football.